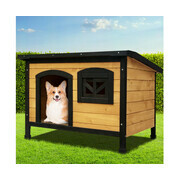 Make 4 interest-free payments of $40.09 fortnightly and receive your order now. 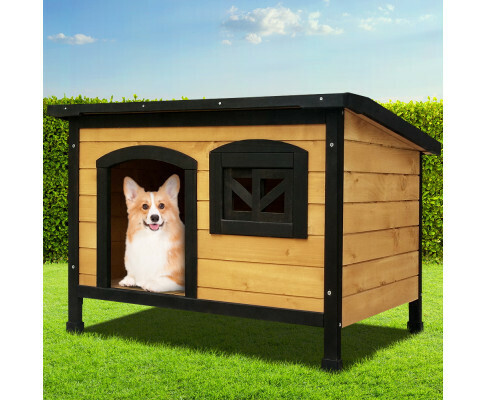 A man’s best friend should deserve a good place to stay. 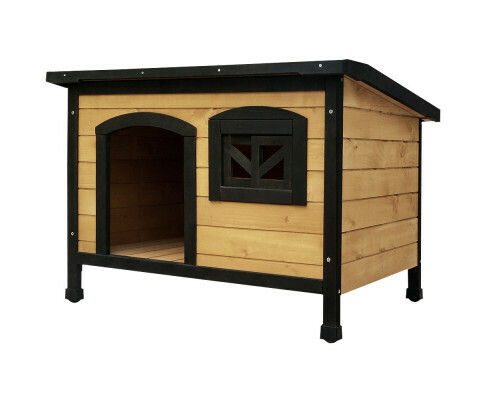 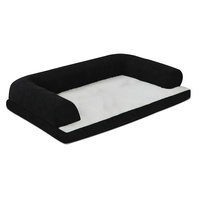 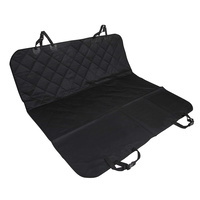 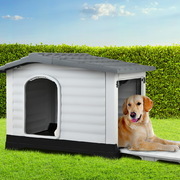 And our Pet Dog Kennel is the just the right pad for your furry buddy to sleep, rest or relax. 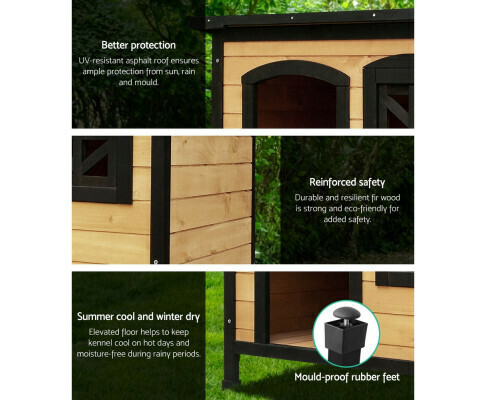 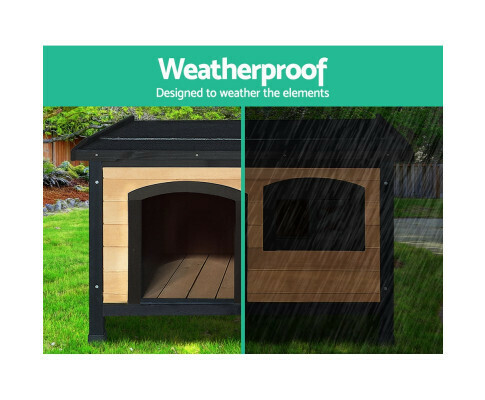 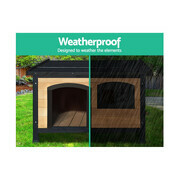 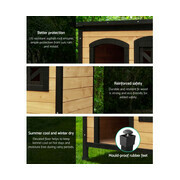 This quality Fir wood built dog kennel fits larger size dogs and is weatherproof and UV stabilized. 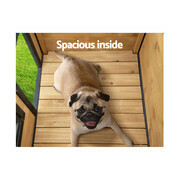 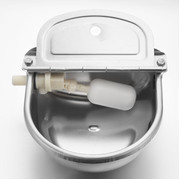 Vents at the front and rear help to ensure that your pet is kept well ventilated with fresh supplies of clean air. 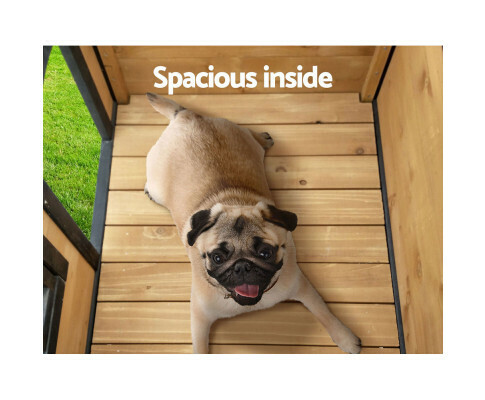 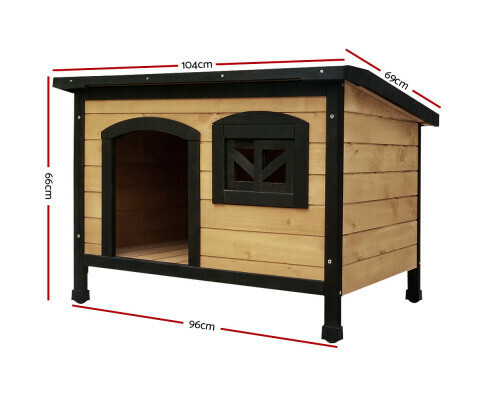 The interior is spacious, the entrance is wide enough and the entire kennel sits on an elevated floor that keeps ticks and fleas away from your pet. 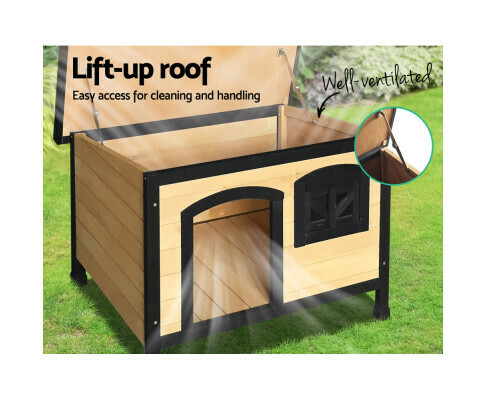 The roof can also be opened to air the kennel if needed. 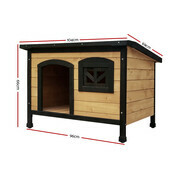 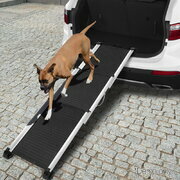 Not least, the adjustable footing allows the kennel to be set on uneven ground without any issues. 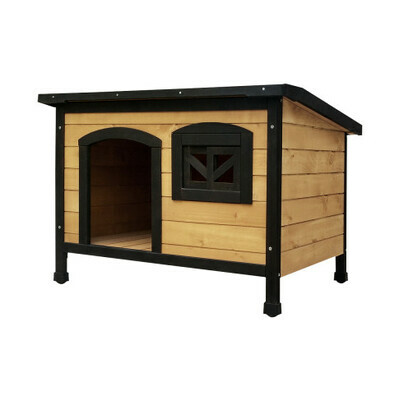 Every dog has its day, and we’re sure that our Pet Dog Kennel will certainly make it cool and comfortable, time and again, for your loyal buddy. 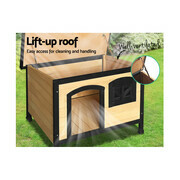 Make 4 interest-free payments of $10.39 fortnightly and receive your order now.